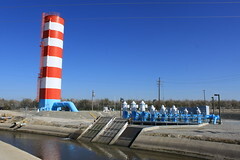 Update 2013 advances the Governor’s Water Action Plan, released by the administration of Governor Edmund G. Brown Jr. in January 2014. The governor’s five-year plan sets forth 10 priority actions to meet urgent needs and set the foundation for sustainable management of California’s water resources. The California Water Plan Update 2013 plans to the year 2050. There are 17 cross-cutting objectives and over 300 specific actions to reinforce the implementation of the Governor’s Water Action Plan. The goals of that Plan are to make conservation a way of life, provide safe drinking water and expand water storage capacity, improve public safety and secure wastewater systems for all communities, and foster environmental stewardship. Three related themes distinguish California Water Plan Update 2013. 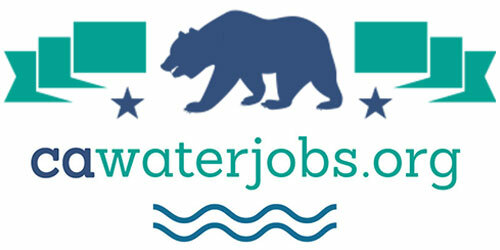 First, the plan emphasizes the accomplishments and great potential of integrated water management to achieve social, environmental and economic benefits within California’s interconnected water systems. This approach requires working across governmental and jurisdictional boundaries to achieve multiple benefits – such as flood management, habitat restoration, and groundwater recharge – and increases the return on public investments in our water systems. 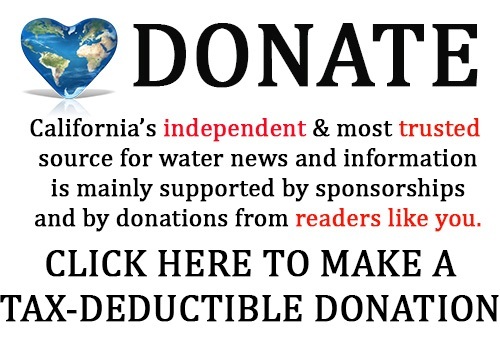 Second, Update 2013 calls for better alignment of how government manages data, plans, establishes policy, prioritizes and administers pubic funding, and regulates our large, complex and decentralized water systems. Better communication and collaboration are needed among water managers and land use planners to work across jurisdictional silos and find scalable, regionally-appropriate solutions reflecting California’s regional diversity. Update 2013 represents a significant step toward State agency alignment by incorporating nearly 40 separate State agency companion plans, as well as the voices of hundreds of interested parties representing farmers, builders, planners, business, tribes, and water managers at all levels of government. The third Update 2013 theme focuses on the need for stable, effective funding sources to invest in water innovation and infrastructure (natural and built). With much of California’s water supply and flood protection infrastructure aging and outdated, inadequate and unstable funding has put our water systems at greater risk. Local entities – such as water and flood districts, counties, cities, and utilities – already spend about $18 billion a year on water, matched by roughly $2 billion annually from the State and federal governments – a significant portion of which goes for operation and maintenance, not new infrastructure. Update 2013 explains why it will take hundreds of billions of dollars of additional investments over the next few decades to reduce flood risk, provide reliable and clean water supplies, recover overdrafted groundwater basins, and restore degraded ecosystems – in other words, to achieve sustainable water management. Update 2013 includes a new finance planning framework and describes potential revenue sources including federal grants and loans, general obligation bonds, revenue bonds, assessment districts, rate-payer, user and impact fees, private investments, public-private partnerships, and more. Update 2013 delivers a water roadmap for decision-makers, resource managers and water users including: how water is developed and used; in-depth summaries of over 30 water/resource management strategies available throughout California; a snapshot of regional water conditions, initiatives and opportunities in 12 regional reports; a range of future water and climate change scenarios, and more. Released today are the Highlights booklet and initial volumes of Update 2013 “Investing in Innovation and Infrastructure,” — Volume 1 Strategic Plan, Volume 3 Resource Management Strategies, and the first set of 12 regional reports (Volume 2). 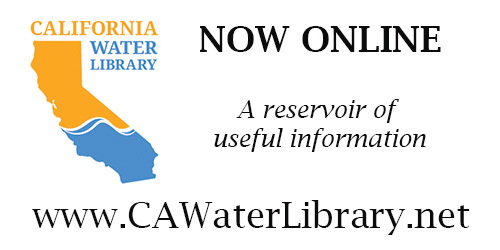 During the fall, DWR will release the other regional reports; and this winter, the Reference Guide (Volume 4) and Technical Guide (Volume 5), a compendium of research articles and documentation, furthering public access and transparency.